There is no elevator to success … you have to take the stairs! If you are a Conestoga High School student or CHS graduate, or you live in the TESD and attend a private school, T&E Care offers a program that might offer some support to students who qualify. We are excited to support those students who take their education VERY seriously, because we value hard work as a path to a strong future. If you are such a student and would like to apply for assistance through our CAP program please talk with your school counselor and have him/her contact us. 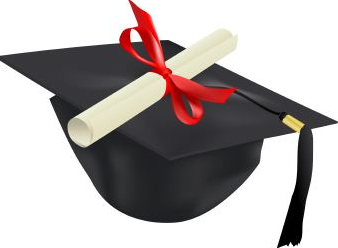 Grades – The higher your GPA, the more likely you are to receive financial assistance, because we believe that students who have worked hard in class and were not afraid to challenge themselves are more likely to be successful adults.Your grades will be given the most weight as we look at your report card or transcript. Continued success (in both high school and college/trade school) is important, we won’t just look at one marking period (over a 3.4 GPA – extremely likely to get assistance; below a 2.6 GPA – unlikely to get assistance). NOTE: For all CHS students, the GPA is based on their unweighted (4.0) GPA; however, their weighted (5.0 and higher) GPA will also be considered. Students willing to challenge themselves by taking higher level classes will be give extra consideration. A copy of your grades and GPA should be emailed to us at CAP@tecare.org. Screen shots are fine. Continued success is key as your entire CHS/college schedule and grades are important. School clubs/sports/projects and volunteer activities/community service work – Extracurricular activities in school or the community offer important opportunities for individual growth. The more involved you are in school and community activities, especially activities that show initiative, volunteer, and/or leadership roles, the more likely you are to receive T&E Care’s support. Employment – T&E Care is more likely to help students who recognize the responsibility of having a job to help cover their personal expenses, and especially those who budget and save money when possible. We’re looking for those students who make/leave a good impression and your job, and have a sense of commitment to their employer(s). School discipline – Students who have few, if any, disciplinary or attendance problems are considered favorably in their request for an interview and future assistance. School counselor recommendation – The school counselors may have information about a student that warrants consideration for support and we will consider this criteria. Financial need – “Gross income” is the amount earned by all adult members in the household before taxes and other deductions. It includes money earned from wages, welfare, unemployment, child support, alimony, social security, pensions, retirement, disability, rental income, and any other income. If the adults in your family make less than T&E Care’s program cap, you are more likely to qualify for an interview and assistance through this T&E Care program. The financial guidelines change yearly (as we base our assistance off the federal poverty guidelines which change yearly), but in 2018/2019 a family of 4 making a monthly gross income of up to $6,275 might qualify. Click HERE for specific guidelines. T&E Care will help CAP students in a variety of ways, depending on the situation. Some students just need help with some of the logistics of applying to college: visiting a college or trade school, deciding which schools to consider, filling out applications, completing the FAFSA forms, understanding the financial aide packages offered, etc. We can find a local volunteer who would help with this. As long as you have worked with one of our mentors, financial assistance comes in a variety of ways as well. We might help with SAT costs, or college application/acceptance fees. We sometimes help with the purchase of text books or some of the tuition costs (after FAFSA support and other assistance is already determined). We might be able to buy a new laptop for a student. Sometimes we even take a student shopping for dorm room supplies. This assistance will continue each year the student remains in college as long as you stay in touch and continue to meet our guidelines. Remember we want to help those students who want to help themselves and are serious about their education. If you have any questions about these criteria or the CAP program in general email us at cap@tecare.org.